With the excessive rain we’ve seen over the last 6 weeks, getting soybeans out of the field has been a challenge. NCDA reports that only 65% of the soybeans have been harvested as of last Monday. This means many growers will have trouble getting all their beans out of the field by the December 10 “End of Insurance Period” date. There are actions you can take that may help you for insurance purposes, but you must take those actions before December 10. The Risk Management Agency’s procedures (Loss Adjustment Manual Standards Handbook, FCIC 25010) allow your crop insurance company to authorize policyholders, on a case-by-case basis, more time to attempt to harvest so claims can be settled based on harvested production. The delay in harvest was not because you did not have sufficient equipment or manpower to harvest the crop by the end of the insurance period. When your approved insurance provider authorizes additional time to harvest, the end of the insurance period is not extended. Rather, you are granted additional time to attempt to harvest the crop in order to settle any loss based on harvested production. Any additional damage to your crop (by an insured cause of loss) during the extension period is covered. Any avoidable production loss will be charged as an appraisal against the guarantee in your policy. Please be aware that if there is significant snow cover, if the crop is under water, or if extreme wet conditions exist, your approved insurance provider should not (and is not required to) perform final inspections when conditions make it impossible to obtain accurate appraisals. Contact your crop insurance agent and report a loss. Tell your agent that your harvest is delayed because of bad weather. Continue your normal and customary harvesting practices, if possible. Document conditions for your acreage and the actions you take so you can receive an accurate claim payment, if one is due. You may request an extension of time to harvest if you are unable to harvest by the calendar date for the end of the insurance period. You must harvest your crop during the extension period if a window of opportunity arises. If you do not, the approved insurance provider will appraise the acreage at that time and finalize the claim based on that appraisal. Damage occurring after the window of opportunity to harvest is uninsurable. If you have questions you can contact, our office, your insurance agent, or reference this handout from RMA (https://www.rma.usda.gov/en/Fact-Sheets/National-Fact-Sheets/Delayed-Harvest—Wet-Conditions). And hopefully this week will bring a little dry weather and we will be able to some soybeans out of the field! 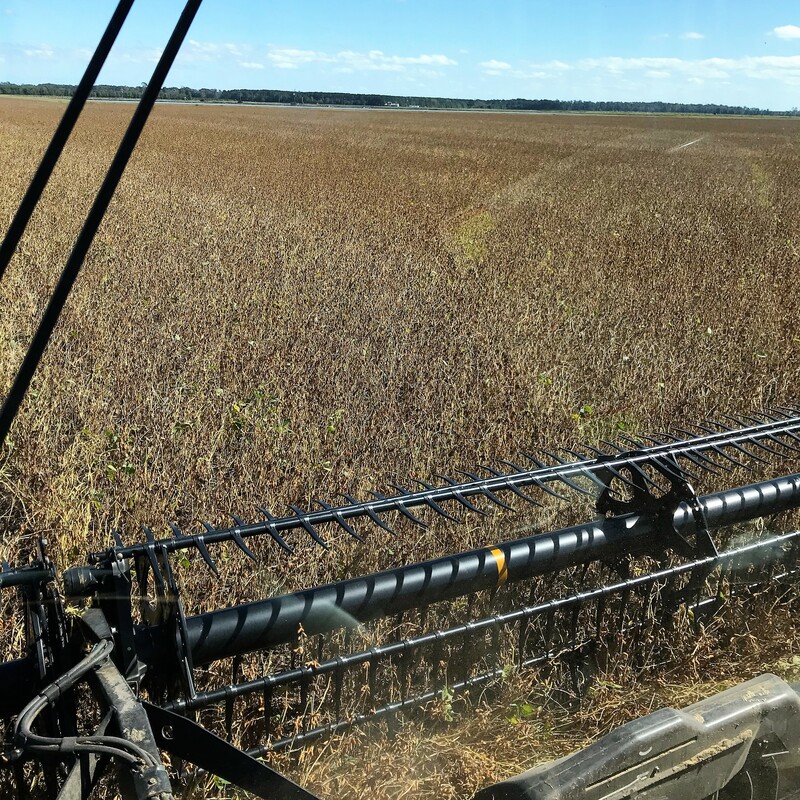 Sign up to receive timely updates and useful information from the North Carolina Soybean Producers Association, including information on results of the investments the association makes in production research to help improve yields in North Carolina conditions; international marketing activities; projects to support our biggest customer, Animal Agriculture; and much more!